Mack the Knife is back in town. 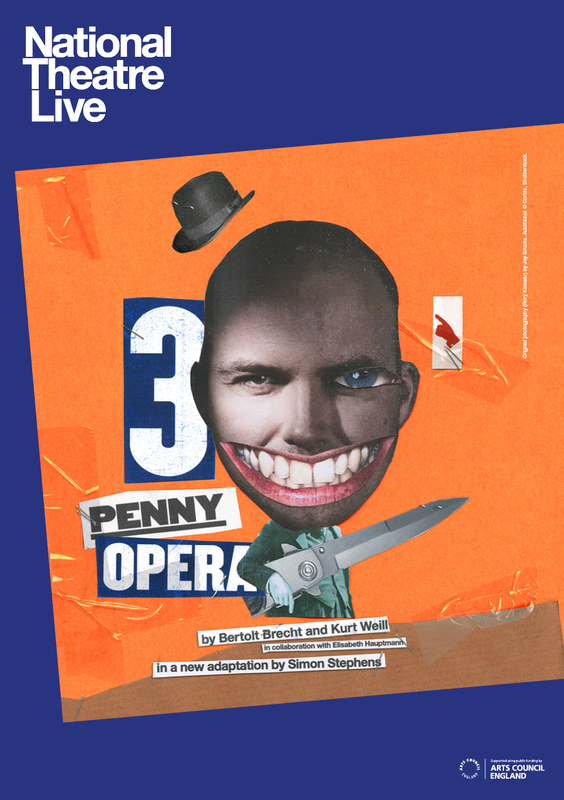 A darkly comic new take on Brecht and Weill’s raucous musical broadcast live from the stage of the National Theatre. London scrubs up for the coronation. The thieves are on the make, the whores on the pull, the police cutting deals to keep it all out of sight. Mr and Mrs Peachum are looking forward to a bumper day in the beggary business, but their daughter didn’t come home last night and it’s all about to kick off… With Olivier Award-winner Rory Kinnear (Hamlet, Othello, James Bond), as Macheath alongside Rosalie Craig (As You Like It, My Family and other Animals) as Polly Peachum and Haydn Gwynne (The Windsors, Drop the Dead Donkey) as Mrs Peachum. This bold, anarchic production is brought to you by a creative powerhouse; adapted by Simon Stephens, (The Curious Incident of the Dog in the Night-Time), and directed by Rufus Norris, (Everyman, London Road).